Lake Bogoria National Park, Kenya. 8 October 2010. 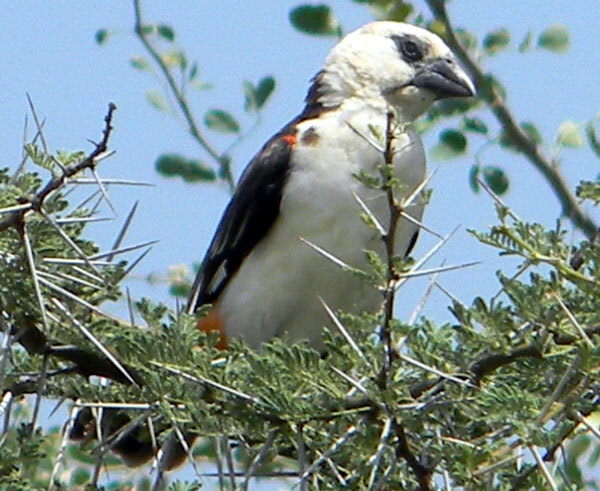 In dry open country with acacia trees this large conspicuous seed eater is bound to be seen. It is a 'weaver' because it is in the weaver bird family and like its relatives constructs an intricate and species-specific-design nest from grass stems. Widespread through Africa in savanna and grazing lands.